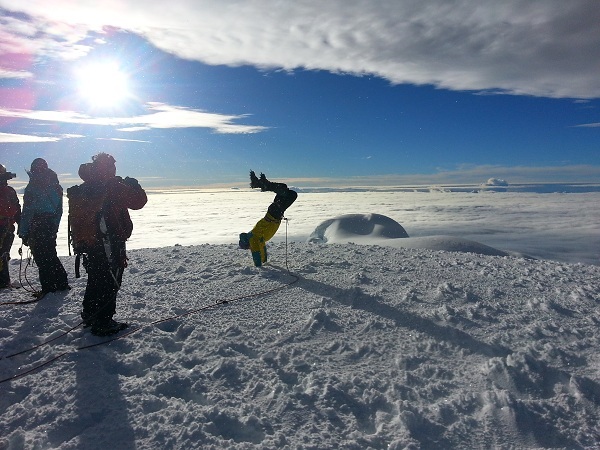 In only 7 days you have the opportunity to climb 4 volcanoes and get to the summit of two of the most famous volcanoes in Ecuador, including the 3rd highest peak in the country, the Spectacular Cayambe Volcano! 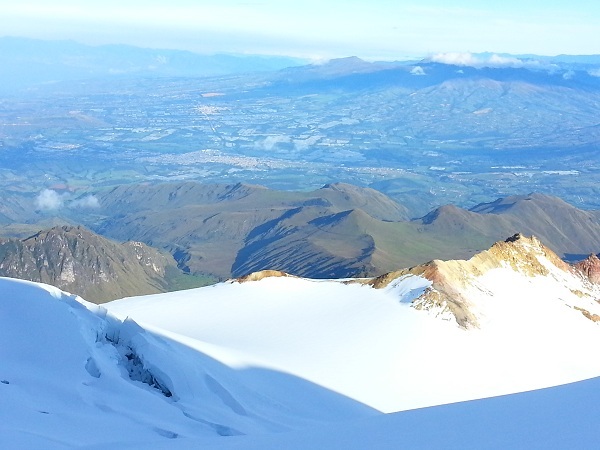 We start early in the morning after breakfast (7:30) and drive to the “La Virgen parking lot” (12,795 ft/3900 m). 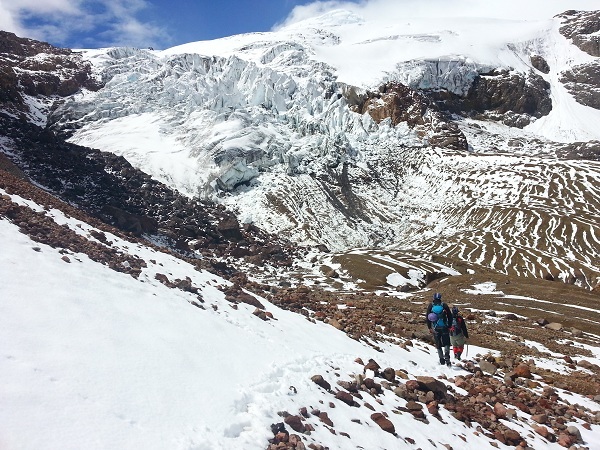 Once there, we will start a 3-hour hike up to the “Nuevos Horizontes Refuge” (15,580 ft/4750 m). 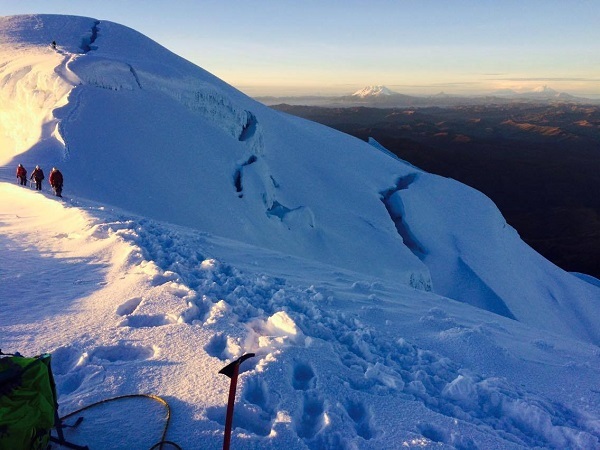 We will relax for couple of minutes and take the opportunity to put on our helmet and harness to continue hiking up towards the saddle formed between both peaks and then head up to the Illiniza Norte summit. 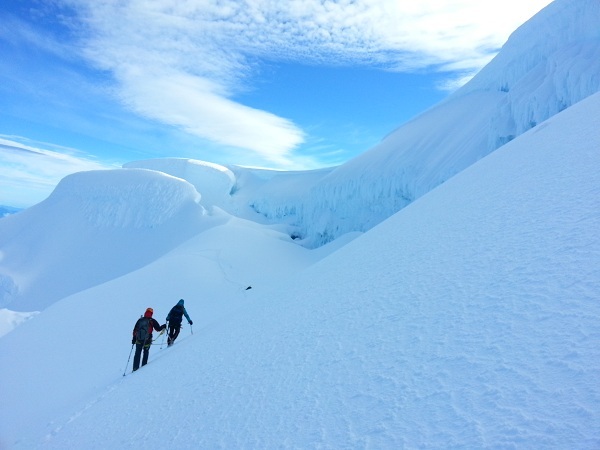 It will take us between 2 and 3 hours to get to the summit (5126 m), and the way back to the parking lot it will take us about 2 hours. 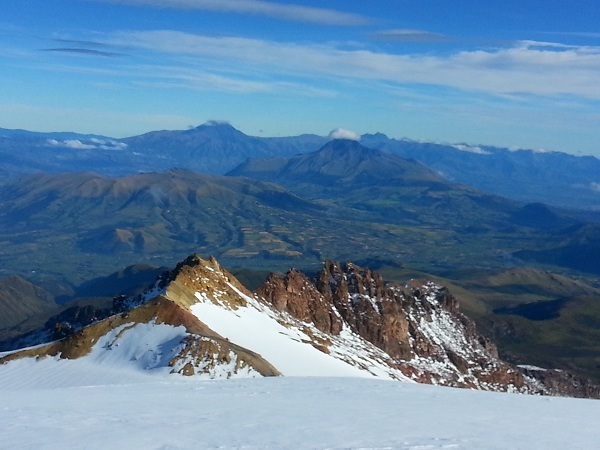 Drive back to El Chaupi, overnight at the Hostal Andes Alpes (B/BL/D).